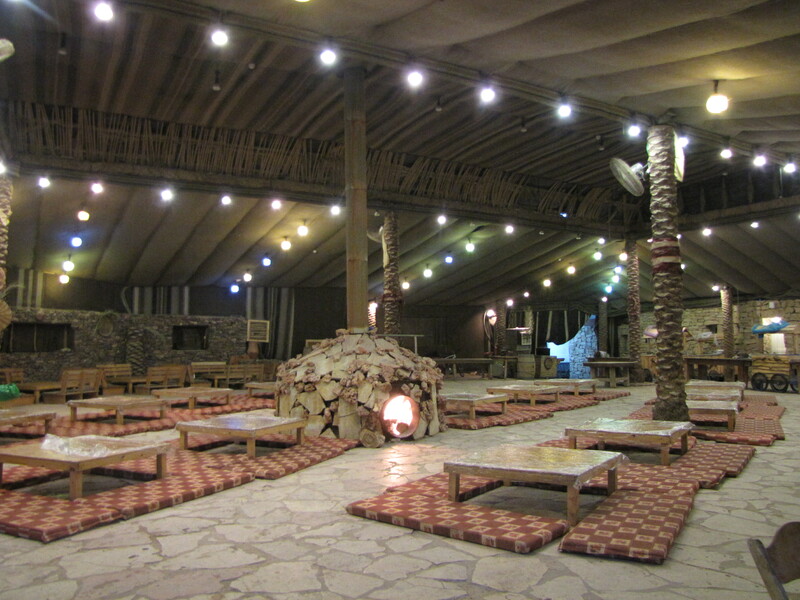 Kfar Hanokdim is a recreated Bedouin village where we spent the night learning about Bedouin cuisine, hospitality and family-life. The minute we stepped off of the bus, at just about the same time, I said that this is the biggest tourist trap I have ever seen as Graham said that this was the definition of a Potemkin Village. 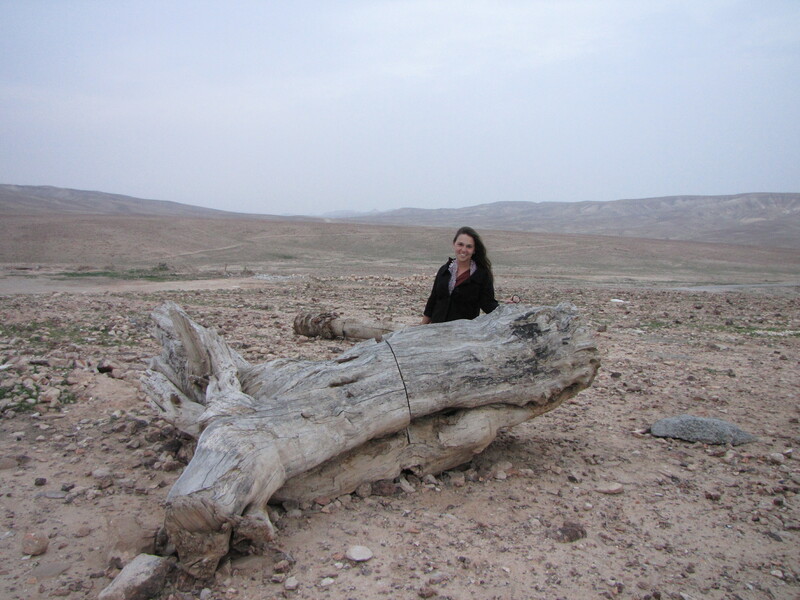 With three couch buses parked outside of the entrance, stadium lights shining over the entire village, and souvenir shops, this experience felt less than authentic. 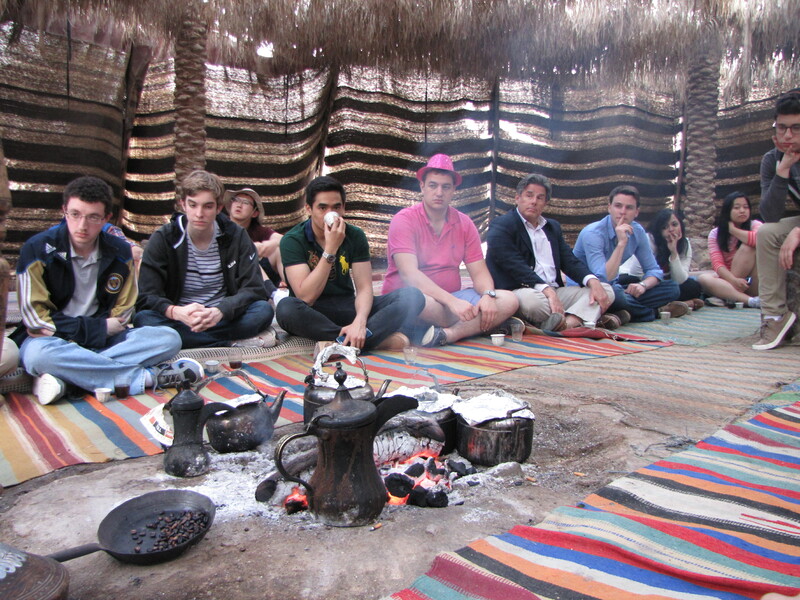 However, it was still a good opportunity to learn about the history and values of Bedouin culture. 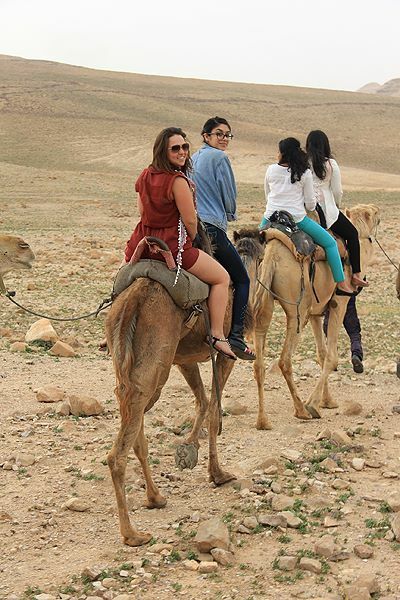 Our first Bedouin experience was camel ridding so we could understand how Bedouins transported their families and homes throughout the desert. 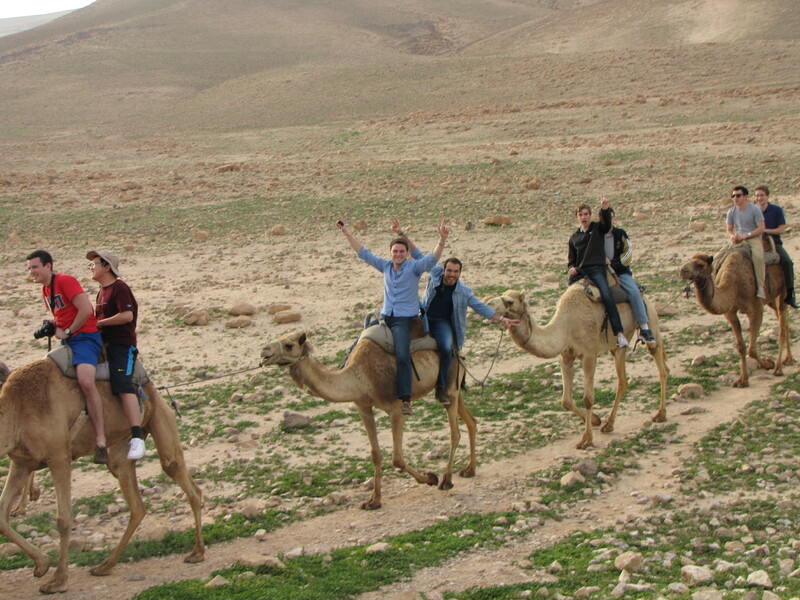 All 26 of us were riding on camels that were tied together and following one another in a single file line, it was very entertaining. 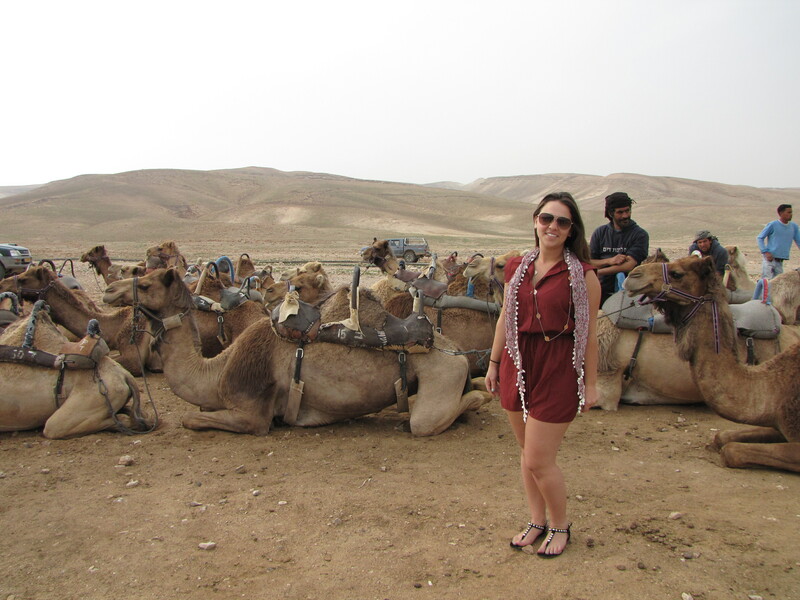 After we said goodbye to our camel friends we entered a Bedouin tent where we were served multiple courses of tea and coffee. If a visitor plans on staying for a short amount of time he is served a coffee and a tea, but if a visitor plans on staying overnight he is served three courses of coffee and tea. 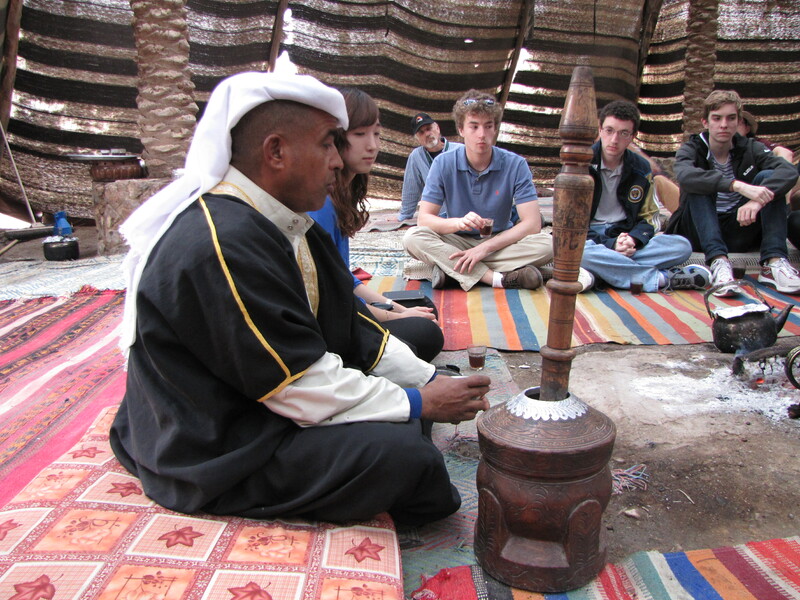 We then had the opportunity to learn about Bedouin tents, education in the desert and how many wives each man has. 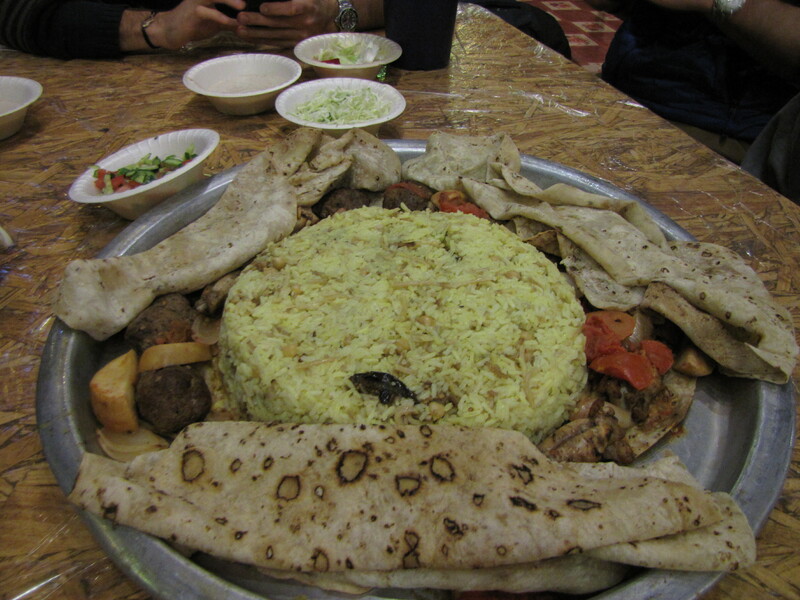 After an interesting Bedouin Dinner consisting of rice, different meats, and vegetable salads, we went back to our tent and enjoyed playing cards against humanity with one another before we all retreated to our sleeping bags for the night.